2" thick, commercial galvanized steel. Finished with vinyl backed insulation. 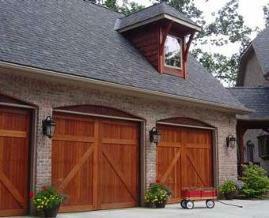 Cedar wood is chemically bonded and mechanically fastened. Industrial graded commercial track assembly. Commercial hinges, bottom and top fixtures. 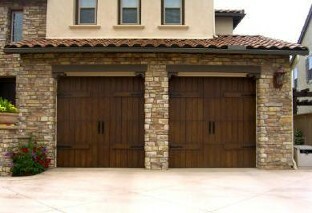 Single car garage doors have a top section support strut. 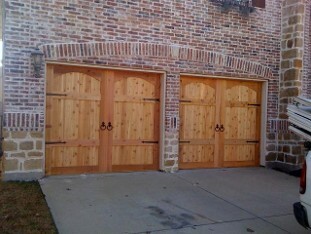 Two car garage doors have support struts on every section. 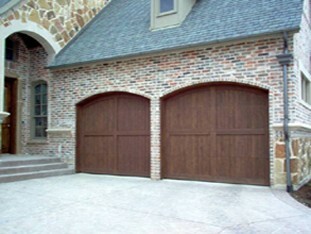 Two car garage doors are double end stiles with long stem rollers. 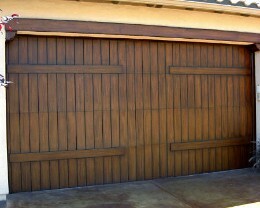 Cedar Tongue and Groove 1" x 6" smooth or rough finish. All doors are furnished unfinished. 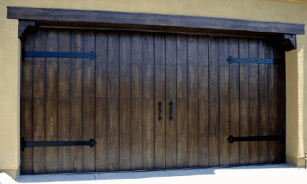 Door must be sealed, painted, and/or stained within 10 days of installation. This is not our responsibility. 1 year on workmanship and de-lamination. 10 year limited warranty on steel sections for construction and/or corrosion. NOTE: Checking, warping, copping, etc. 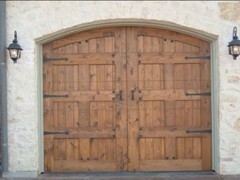 are natural aging processes of organic wood products and are not considered a defect. Cedar shrinks and swells with the changes in moisture content. To minimize dimensional changes after installation, we install all wood at a moisture content which matches the local climate. All material is acclimatized prior to installation.